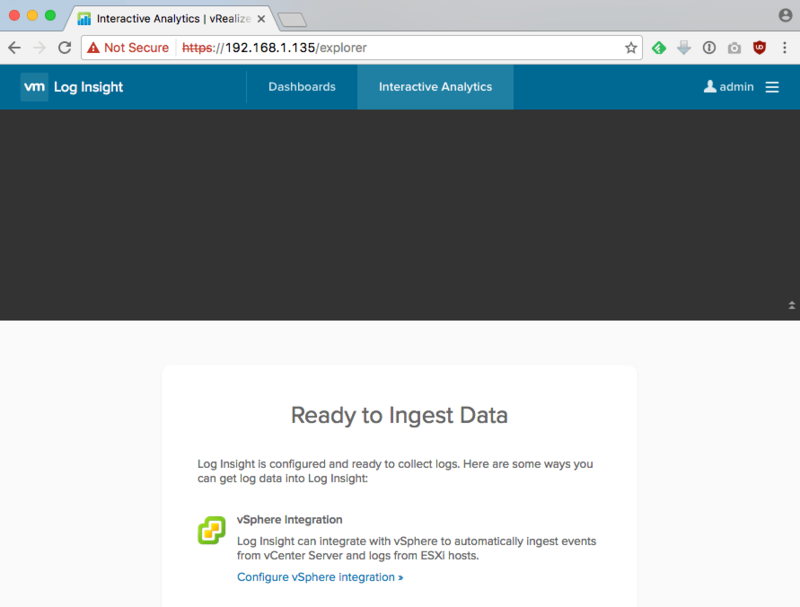 You are here: Home / vRealize Suite / How to purge all logs in vRealize Log Insight? Once vRLI has started back up, you can log back into the vRLI UI and you should have a pristine environment with no logs as shown in the screenshot below. In case you are lazy to type all those commands manually or if you have a large number of buckets, I have also created a quick bash script that will automate the entire process (why not, right?). Simply copy/paste the script into a file called purge.sh and make sure it has executable permissions and then run it. echo "Deleting bucket $bucket ..."
Just the answer I needed. Was getting an alert that one of my LI nodes was having a space warning. I was confused by this as I believed LI to always keep it’s spaced trimmed to 93% usage. I dug through my LI alert emails and found one that reported two buckets as corrupted and I assumed it left them to stagnate. I used your commands to purge those two buckets to bring the storage back to 93%. Thanks as always for your knowledge. It worked with no problem in my case. This worked great. If you do a follow-up post, understanding how to relate bucket ids to agent/log source would likely be useful also. for example each month or date ? Perhaps this is something the team could consider as a super duper advanced option? ???? Absolutely, we need this as an advacned option and or to configure at vami, to delete any buckets older than 30 days or so. exectly what i needed !!! This can also be used free up some space like when trying to upgrade to a newer version and you get a “not enough space on /storage/core”. Same process, but select a couple of your oldest archives and delete those. Archives can be identified by “status=archived”. Do you know if its possible to keep last week data only. I also have a lab for testing purpose so I don’t want to erase everything but just everything older than a week like this I still have data to work on it without consuming disk space in my lab ?